Everyone loves lions. They are fast, strong, fierce, and they travel as one unit, using teamwork to make the hunting count! They are such impressive animals, that it's no wonder that they're the number one animal we would want to see on a safari! Sure giraffes are cool, and sure elephants are pretty neat, no one's going to pretend that they're not! But when you show us a pride of lions, wrestling with each other in the morning sun, now that is quite the spectacle. It kind of makes us want one as a pet, is that crazy? 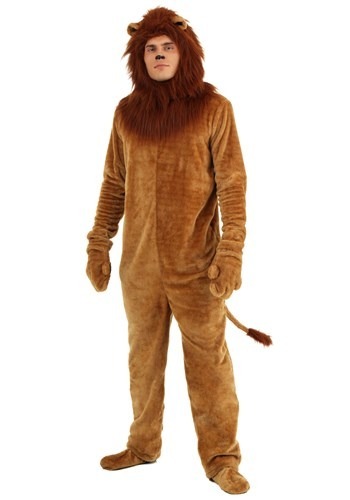 Just imagine; you're at the kitchen table on your laptop, and your lion jumps up on the table and lays on your laptop because he wants to cuddle, just like a little house cat. Though this isn't a house cat, and your laptop is undoubtedly broken, it was still pretty cute, right? 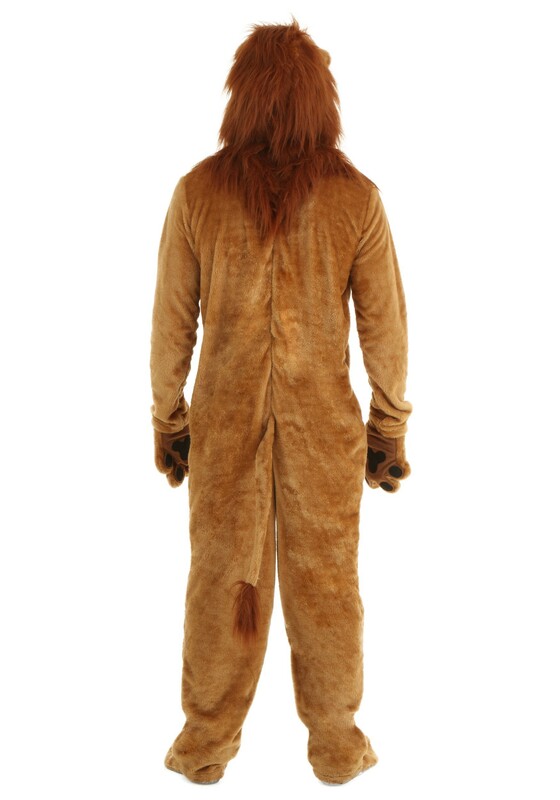 Our Deluxe Lion Adult Costume is worn like a onesie and is secured with a back zipper! 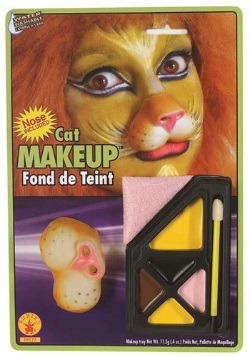 It ensures that you look like a lion from head to toe by coming with shoe covers for your feet, and mitts shaped like a lion's paw for your hands! 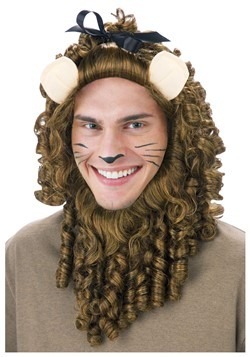 To really sell the lion look, you'll get a faux fur hood complete with ears on top and a simple fastener on the back to hold it in place. 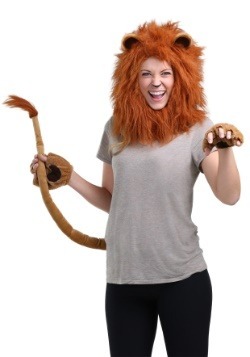 And of course, following behind you at all times will be your little lion tail! Lion's might not make the best pet, but they are still the coolest kitten in Africa, and they still make a great costume! 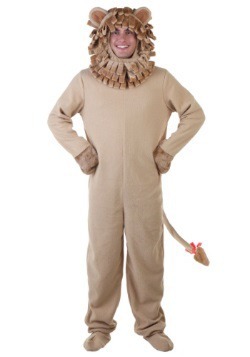 You can take a lot of pride in your costume when you're dressed as a lion. (Bad pun number one) So, what are you waiting for? Stop lion around, (bad pun number two) and go show everyone that you are the coolest cat in the jungle!